A customer question came up asking about what changes need to be made to the physical network when logical networks are created…. The great news is no changes are required when logical networks are created. 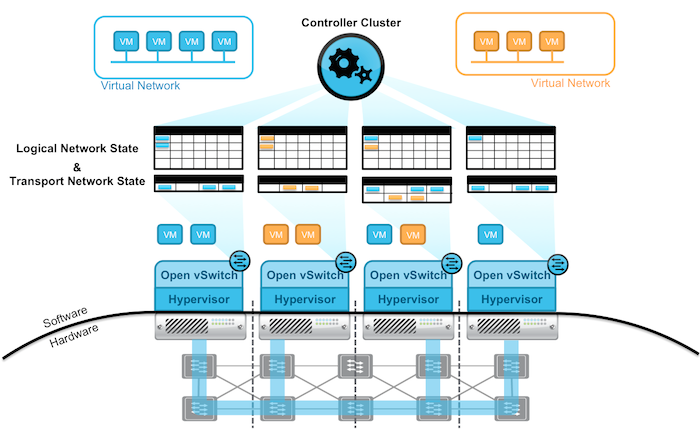 Whether orchestration flows create 2 networks or 100 networks, Virtual Machines (VM’s) connected to logical networks are tracked by the NSX Controller Cluster mapping VM IP/MAC addresses to Hypervisor VXLAN Tunnel Enpoints (VTEPs). 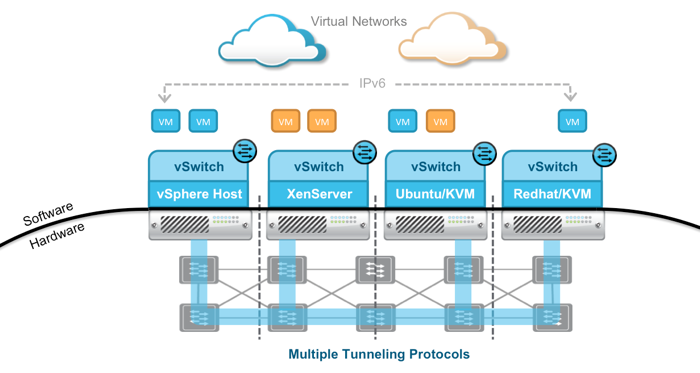 When IP flows hit the physical network, source and destination IP Address represent the source and destination Hypervisor VTEPs that support the corresponding VM’s. 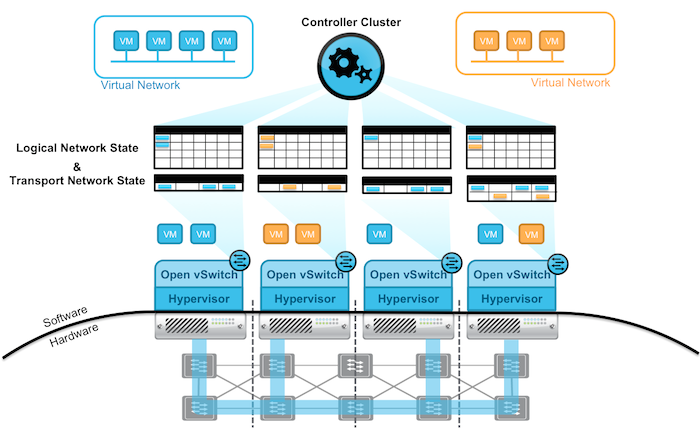 As VM’s move around Hypervisors, the NSX Cluster Controller is automatically tracking VM mobility and updating Hypervisors with new VTEP source and destination mapping, and the physical network is switching or routing Hypervisor to Hypervisor NSX encapsulated flows.